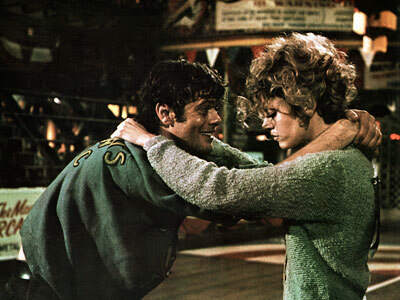 Robert (Michael Sarrazin, Caravans) wanders by a dance marathon that is registering contestants. 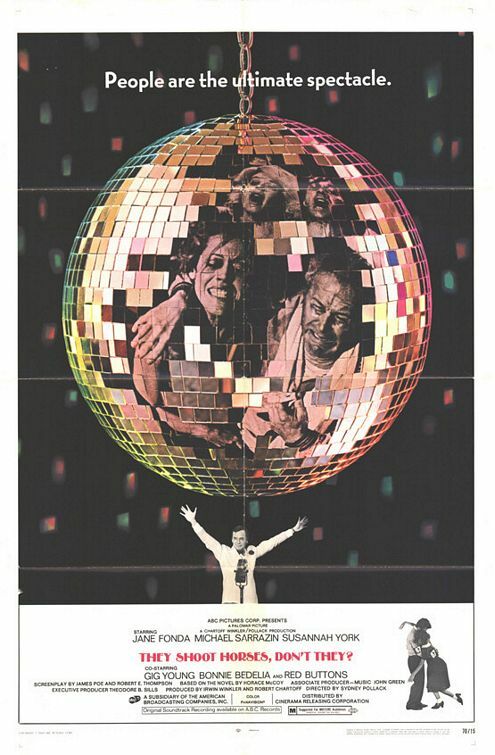 Gloria’s (Jane Fonda, The Blue Bird) partner fails the medical exam, and when she makes a scene, promoter Rocky (Gig Young, Bring Me the Head of Alfredo Garcia) spots Robert and pairs the two up. Joining him on the endless slog are aspiring actress Alice (Susannah York, Yellowbeard), old-timer Sailor (Red Buttons, Viva Kneivel! ), and veteran contestants Ruby (Bonnie Bedelia, Needful Things) and James (Bruce Dern, The Haunting). The itinerant couple joined despite Ruby’s pregnancy, desperate for the free food and a chance at the $1500 prize. Contestants are only allowed ten minute breaks off their feet and the pace is grueling. As the dance wears on Rocky sets up new gimmicks to keep the audience coming back for more. Will anyone survive long enough to collect the much hyped $1500 prize? They Shoot Horses, Don’t They? is director Sydney Pollack’s (The Three Days of the Condor) acclaimed (nine Oscar nominations) adaptation of Horace McCoy’s novel. Though the film is beautifully shot, and there are some truly haunting images, Pollack’s use of slow motion, flashbacks and forwards doesn’t always mesh with McCoy’s gritty tale of Depression-era desperation. 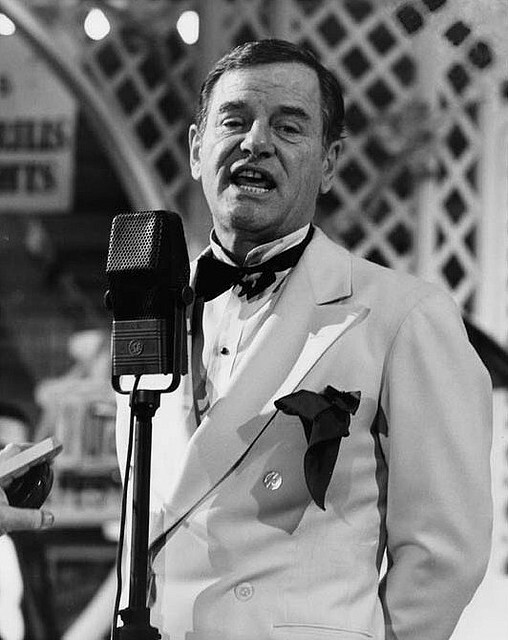 Buttons and York are excellent in their parts, but Gig Young steals the show with his Oscar-winning performance as the oily promoter that, underneath it all, understands what the dancers don’t: this is not a contest, but entertainment, no matter horrible, for the paying customers. Red Buttons responded poorly to the rough cut of Viva Kneivel! Unfortunately, the script and the leads keep They Shoot Horses, Don’t They from being as good as it should be. Sarrazin might as well be Conrad Veidt in The Cabinet of Dr. Caligari for all the energy in his performance, though much of the passivity is in the script. 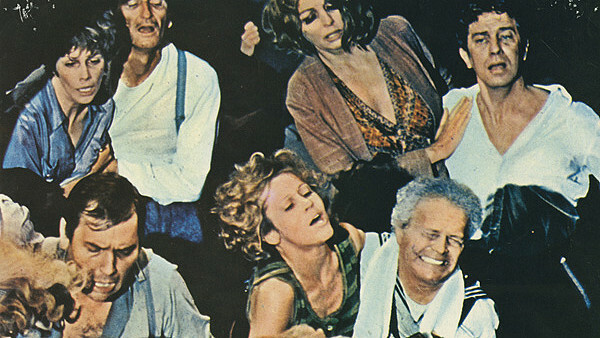 Fonda’s trying-too-hard performance as Gloria overwhelms the film, dominating the proceedings with clipped “hard-boiled” dialogue that falls flat. The script diverts too often from McCoy’s bleak allegory for showbiz, the American dream, and, ultimately, life, to attack the tyranny of the old (Rocky, the judges, the finance guy and the fans are all older) upon the young. It is unfortunate, because the novel is quite relevant today, in this era of “reality” entertainment that is as staged and manipulated as Rocky’s dance marathon. They Shoot Horses, Don’t They? is worth a look for fans of New Hollywood and bleak endings, but if you really want to experience this story, read the book, which is a great, quick read, clocking in under 150 pages. This entry was posted in Based on a Book, Drama, Full Reviews, Period Film, Reviews and tagged ABC, Al Lewis, Best Actress Nominee, Best Adapted Screenplay Nominee, Best Art Direction Set Decoration Nominee, Best Costume Design Nominee, Best Director Nominee, Best Film Editing Nominee, Best Music Nominee, Best Supporting Actor, Best Supporting Actress Nominee, bleak ending, Bonnie Bedelia, Bruce Dern, Dance marathon, Depression, flash forward, flashback, Gig Young, insanity, Jane Fonda, Michael Sarrazin, old timer, Palomar Pictures, Red Buttons, Susannah York, Sydney Pollack. Is there an actual horse in the movie? Or is it a pun about heroin? There’s a horse in the beginning, who falls and breaks his leg, and has to be shot.